The Boy Who Fell - Thank you for your support! As a special thanks to all my Patrons, new and old! 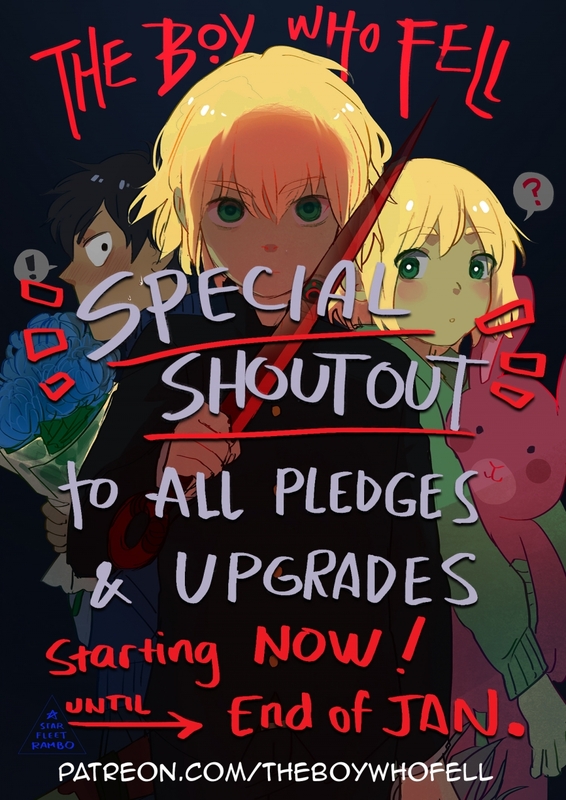 I’m gonna run a two week special shout-out to all new Pledgers AND Upgraders as well as their own spot on the first ever After-Chapter Shout-Outs (AChSO??) page which will come out after Firenze diesthe last page of Chapter 48! If you want to unlock more updates (and loads of freebies) or just help me juggle college and comics, back up this comic by pledging as little as a dollar on Patreon!